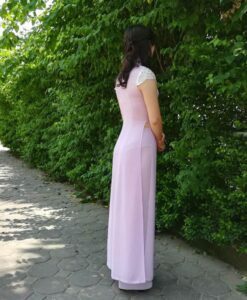 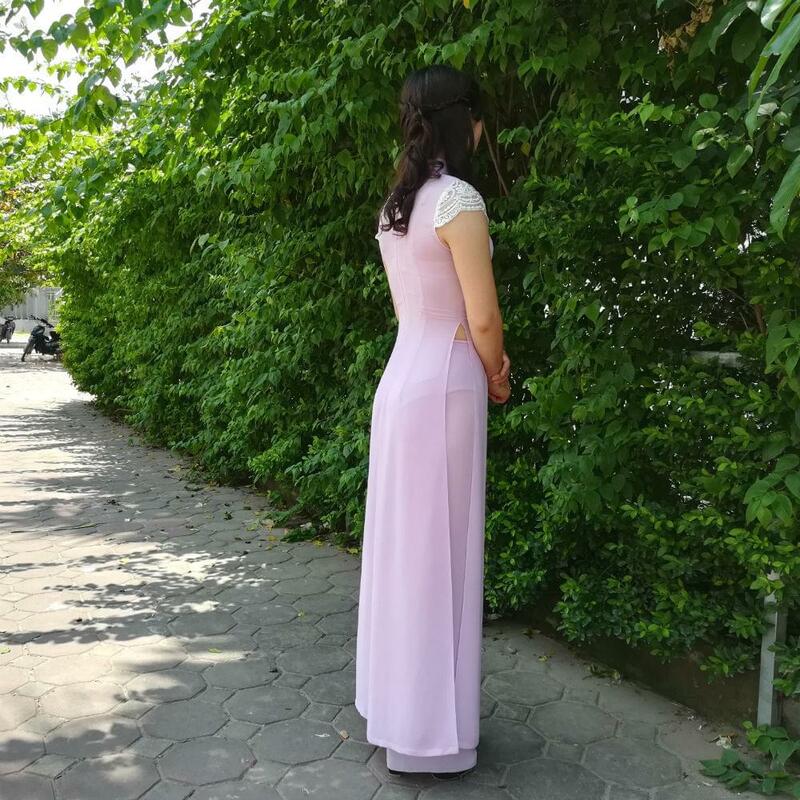 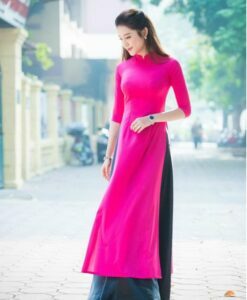 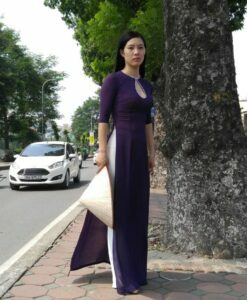 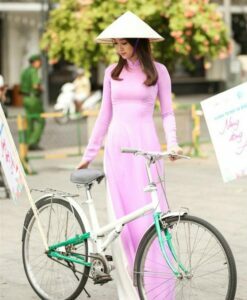 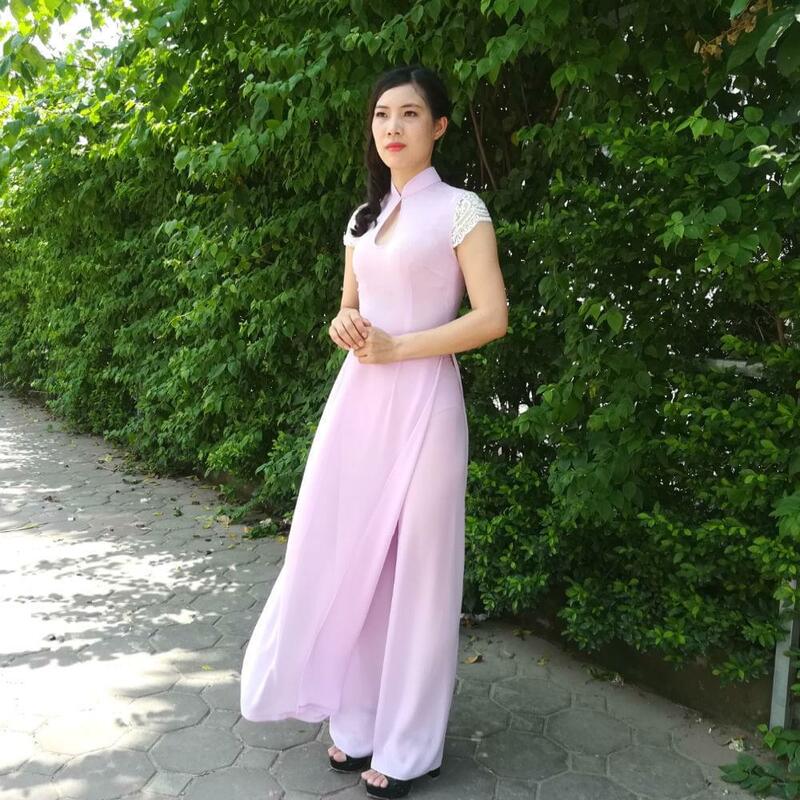 This Ao Dai Vietnam For Sale is made from Amethyst Chiffon, a light purple or violet color, transparent form of quartz used as a gemstone. It has the small lace decoration for sleeves. 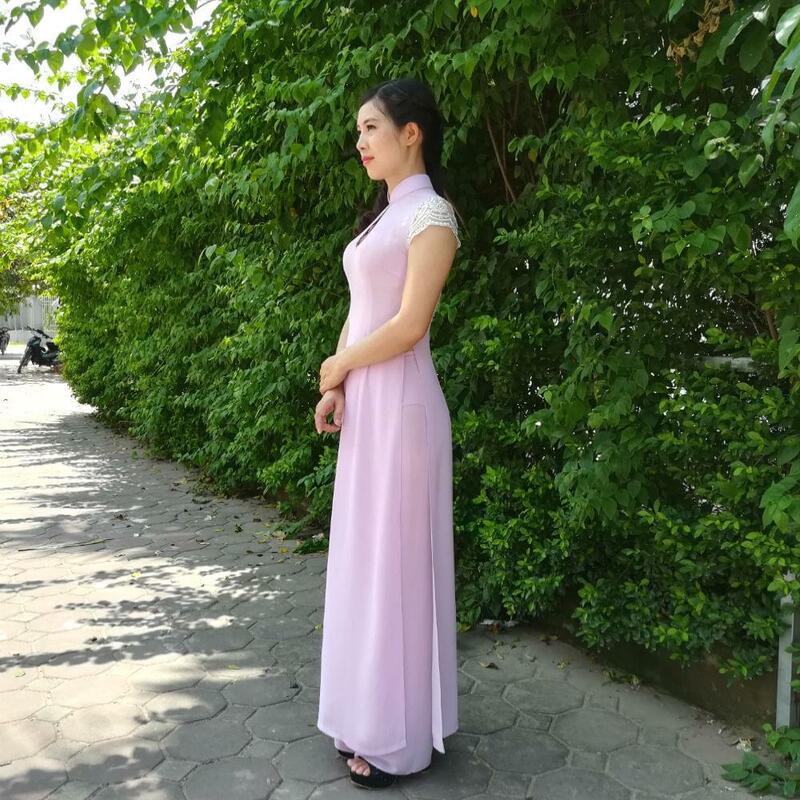 Neck has the diamond cut design.